Kidzworld is with movie “It” girl of the moment Emma Stone who is kind, sweet and, hey, she wanted to be a journalist as a kid and teen so we can relate to her bigtime! 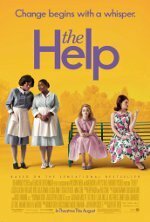 We’ve witnessed Emma’s great comic timing in Superbad and Easy A and now the young actress takes on drama in The Help based upon the best-selling novel about racism in the deep South of the 1960’s. Emma plays budding journalist Skeeter Phelan, a young woman who was basically raised by her family’s loving, African-American maid. When Skeeter realizes how horribly these strong, helpful women are being treated by her prejudiced friends, she sets out to interview them and tell their stories in a book and, in the American South, it won’t be easy! Emma is telling us that she took on the role with a lot of anxiety since Skeeter and the book were her mom’s favorites. Could she please mom and live up to the massive reader expectations for the character? Kidzworld: You had read the book so when they told you you got the part, what went through your mind as the biggest challenge you would have to face? Kidzworld: So no pressure whatsoever (we laugh). Emma: There was that pressure. If you have a movie coming out people say, “That sounds good”. Here, with this book you say “It’s from the book” and they’re like “Did you capture this nuance? Did you see how subtle this was?” It’s like everyone has read the script for this movie. But, I became possessive of the book and the characters so I can relate. Kidzworld: What especially drew you to want to play Skeeter? Emma: Many, many elements of Skeeter drew me to her. I really liked her curiosity and the way she reached the conclusions that she reached. I liked that she still wanted to fit in but was different from her friends. I liked that she had a different opinion and was a modern woman in that era and wasn’t a martyr at all and did some of this stuff for selfish reasons (furthering her career). She learns these lessons in an authentic way for a girl of that time period. She wasn’t Scarlett O’Hara or a (Southern) woman like that. I loved Skeeter. Kidzworld: How can Skeeter have this great moral center when all the women around her are so prejudiced? Emma: It comes from what Constantine (her family’s “help” when Skeeter was growing up) taught her. It comes from how lucky she was to have Constantine, a woman who loved her in the same way Abileen (played by Viola Davis) loves (the white child she cares for). Skeeter was lucky enough not to lose Constantine at age three and to be messed up by her mother. These prejudiced women grow up and turn into their mothers. It just happens. Nurture affects you so much. You either have to overcome what your parents taught you or you become what they taught you. Constantine was her emotional guide and center to tell her she could become anything she wanted to. That’s where she gets her strength. Kidzworld: Do you have a favorite scene? Emma: My favorite one was with Cicely Tyson (Constantine) when Skeeter is fifteen and sitting on the bench with her when you see who Constantine is. It gives so much depth to the entire story and why Skeeter is later writing this book and why she’s the way she is. That was such a beautiful, important scene. Kidzworld: If Constantine was Skeeter’s role model, who was Emma’s? Emma: My mother has always been emotional barometer and my guidance. I was lucky enough to get to have one woman who truly helped me through everything and I think Skeeter had that same thing and how would I feel if my own mother was taken away and nobody explained it to me and nobody was telling the truth about it and I knew they were lying? I would lose my mind. I don’t know what I would do so that was always my personal connection. Kidzworld: You are a modern young woman so did you have to research the early 1960’s and what women were like in the South then? Emma: I was lucky in a way because Skeeter was relatively a modern woman with, like me, the goal of having her own career in not necessarily wanting to get married and have kids at 22. I’m twenty-two so I can relate to her now. In terms to relating to that time period, she felt a bit different than her peers. I realized that Skeeter's knowledge was relatively limited and I learned so much as that process goes on. Learning the dialect (accent) alone was huge and hard. Kidzworld: Skeeter wants to be a journalist. You deal with us all the time. Could you relate? Emma: When I was a kid I wanted to be a journalist. I wanted to go to school for journalism. I always seemed that journalism could be a great thing. I think that was another reason why it was exciting to play Skeeter. I get to be a journalist. (To this reporter) I think we do something similar; I read scripts and you interview people and we break them down and try to get these points across. We both have a lot of interest in humanity and what makes people tick and the psychology of human beings. We're not so different, you and I.
Kidzworld: Skeeter wrote about injustice and something she thought needed to change. What would you write about today? What needs to change? Emma: Addiction to notoriety; a culture of addiction to escapism and avoiding some truths. We are in a middle of another civil rights movement right now. There's a lot. I think a lot of people are disturbed by this stuff. Kidzworld: What about Skeeter is unlike you? Emma: I think Skeeter specifically, character-wise and story-wise, hit a chord with me. I just felt that I could kind of relate to her viewpoint in a lot of ways. But I don’t think I possess her bravery, which instantly made me want to play her. I think a lot of times with characters, there’s something in you that you really want to access and that you want to feel at times in your life. Her bravery may have been something that I wanted to feel in that time. That was a big draw.